Game Pass is a monthly/yearly subscription service on the Xbox One. Every month, it releases new and old titles onto the roster, sometimes adding games from this generation as well as the 360 and the original Xbox library. If you are a college student/gamer on a budget, there are plenty of great offerings on this service that will make you forget you used to spend 60 bucks on a new game every week that you may not have even liked. Your brother King Logan is a tyrannical leader who rules the people with cruelty. Along the way of your escape and rebellion, you’ll make alliances with factions throughout the fictional city of Albion to overthrow the King and claim the throne for yourself. True to the series and like previous entries, you can be ultimately good or supremely evil, with areas getting redesigned or changed based on the morality of your choice as King. Why not start with the first “Fable?” you may ask. 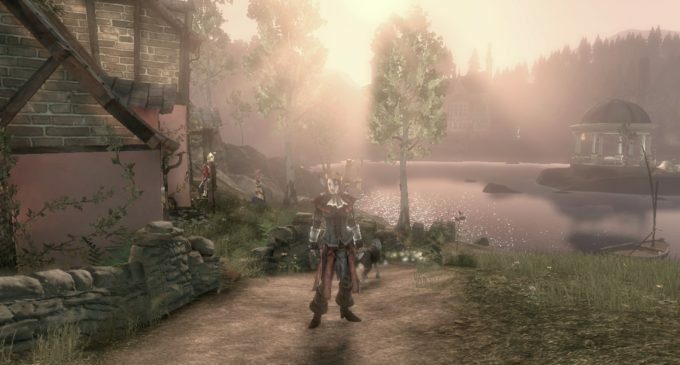 The original “Fable” is a classic PC masterpiece and its sequel in 2008, “Fable 2,” is equally revered. “Fable 3” went through significant cutbacks prior to release and Lionhead Studios would go on to develop other “Fable”-titled spinoffs that ultimately led to its studio closure. However, “Fable 3” is my favorite of the three games for a few reasons. Weapon combos are not all that present here, with ranged, melee and magic all being attached to specific buttons. Fable is about the Kingdom’s personality and secrets. Its combat has never been a stand out anyway, so simplifying a mediocre experience helps. It is not that there is a small selection of weapons, its just that the AI is not all that fun to deal with. You will fight werewolves, pirates and sand demons. It is all aesthetically pleasing, thankfully. The franchise takes place in the same kingdom, with each numbered title showing that land at a specific time and placed. This iteration of “Fable” shows off some of” Fable 2’s” Victorian-era aesthetic and mixes in a fair bit of steampunk. It is fun and has a cheeky humor to it. The art style is easy on the eyes and it was not until I had spent more than four hours playing that I started to notice visual hiccups. It also began to dip in frame rate and the game chugged a considerable amount. The “Fable” games have a very cartoon-y art style to them, with the world feeling equally vibrant and lush and tonally in line with old fantasy stories of heroes and dragons. But prior to this game, and especially in “Fable 2,” the character was awkwardly not voiced and was given silly looking facial features. Here, whether you choose to be a boy or girl, are given a more grounded-looking hero that fits the art style. The clothing and attire here also is a step up from the previous game with more options to customize your character and the eating and health system is seriously toned down, meaning you don’t have to stick to a diet of celery like usual.